So after all the sturm und drang, Johnny Football is bringing his talents to Cleveland. Selected with the 22nd pick, Manziel endured over two-and-a-half hours of watching teams not pick him as the possible first or second overall draft selection watched his stock slide, and slide, and slide some more until he landed at the feet of the Cleveland Browns, allegedly on the advice from a homeless Browns fan. The Browns are where 50/50 boom/bust players like Manziel go to bust. Johnny Football knows this. That is why the team cycles through quarterbacks the way the NFL cycles through concussion lawsuits. The upside to every bust is always a boom, though, and if Manziel can shake off the bad vibes that’ve surrounded the Browns for what feels like forever, his legend will grow that much larger. It may even inspire folk songs with titles like “The Ballad of Johnny Football.” They would be sung during the Browns post-season laps to consecutive Super Bowls. On the field, it’s harder to say what Manziel brings to the table. Assuming he’s able to outplay incumbent starter Brian Hoyer, Manziel’s daring do, rocket arm, and athleticism will be paired up with wideout Josh Gordon and one of last year’s rookie phenoms, tight end Jordan Cameron — one of the soon-to-be-infamous college basketball player turn football pro. Seriously, those guys (including Tony Gonzalez and Jimmy Graham) seem to make the best TEs. Selecting Johnny Football seems to spell the end of the Brandon Weeden Era in Cleveland, a welcome relief for the fans and, probably, Brandon Weeden. Indeed, reading Weeden’s draft profile seems like someone crafted it to be anti-Manziel. Check out this excerpt from the ‘weaknesses’ section: “Weeden is only an average athlete and is very limited when scrambling. 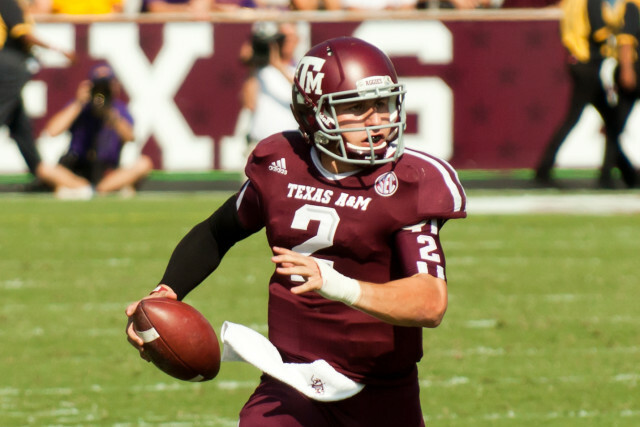 He has a tough time getting outside the pocket, and his accuracy and touch decrease immensely when he scrambles.” That is, to put it kindly, some things that would never be said about Johnny Football. 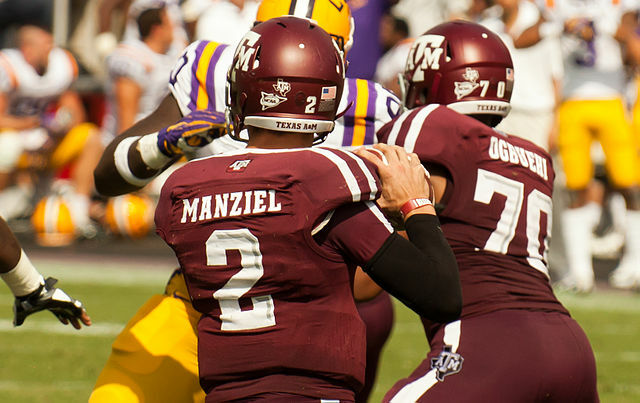 The joy of watching Manziel play football comes from the absurdity of his play style. Below are 22 minutes of highlights, each of which features at least one “really? !” moment, and if Manziel undergoes an Aaron Rodgers-esque transformation — in which a talented quarterback is passed over repeatedly in the draft only to emerge as a force of nature for years to come, haunting the dreams of all the teams that passed — he could be the most entertaining NFL quarterback in a long while. Fingers crossed, if only for Cleveland’s sake.